In March of 2015 I attended a five day class in Lebanon, Tennessee. The event is called the Renegade Woodcarvers Roundup. For the first time, this year’s class was followed by two classes on the weekend. 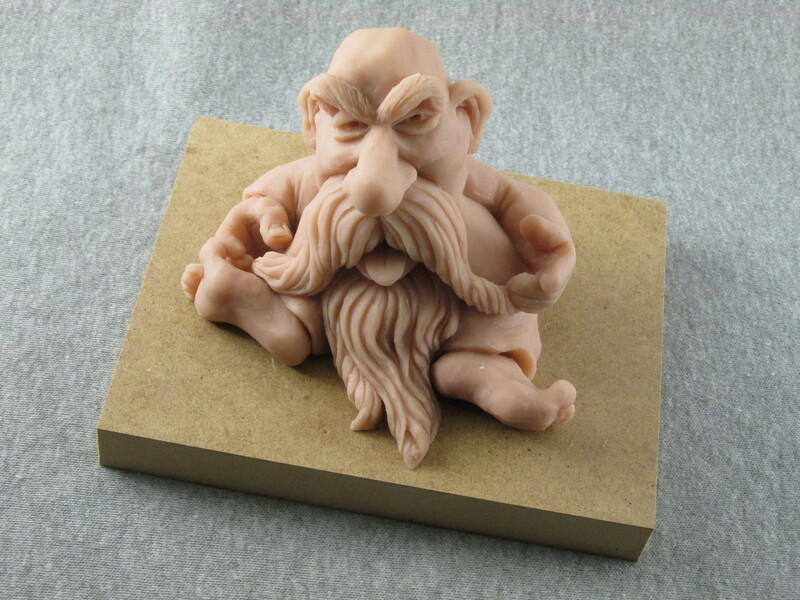 I took the polymer clay sculpting class. 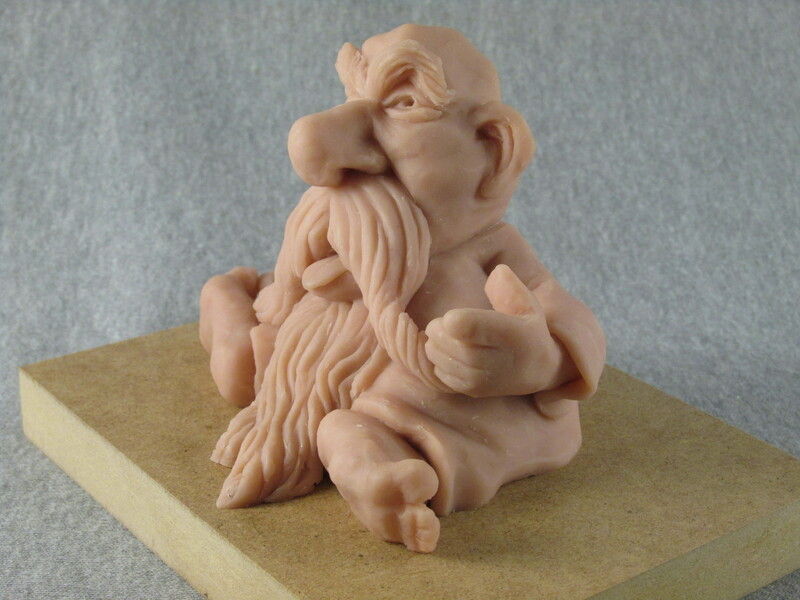 The expectation for the class was to learn to develop ideas in clay that could become a model for a woodcarving. 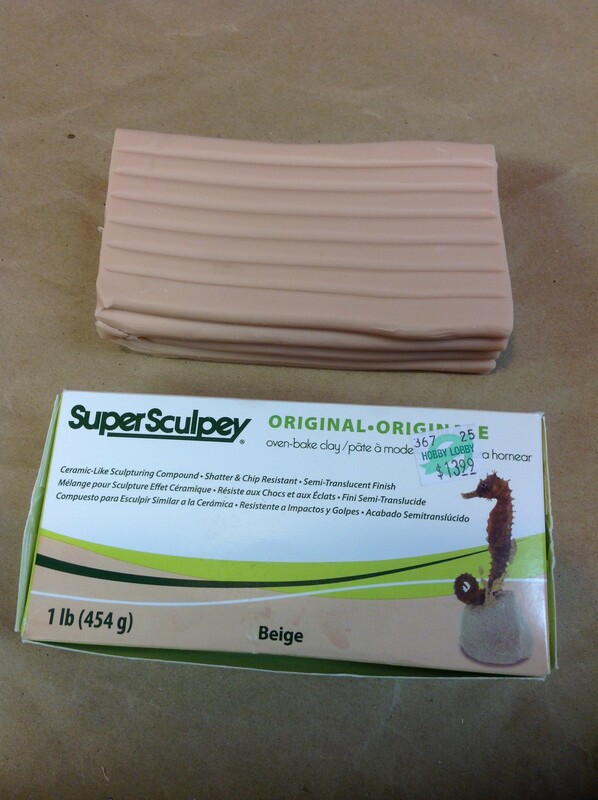 We used a product called Super Sculpey. Our instructor, Rich Wetherbee (CCA), provided everything we needed. We began Friday evening with a introduction to the basics. We learned about making wire armatures to support areas of the sculpture that would succumb to gravity. 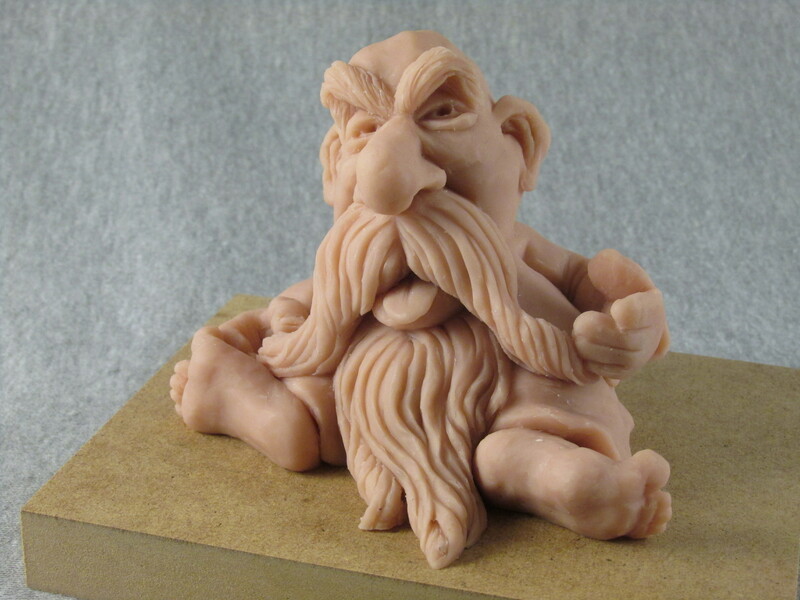 Also, we worked the clay with our hands and metal sculpting tools. We got down to business Saturday morning. All ten students completed at least one project. 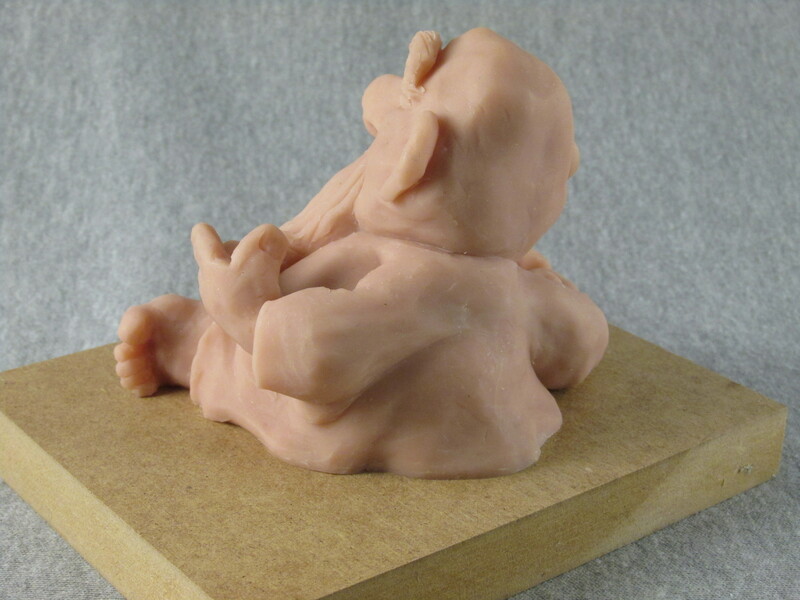 The completed projects were baked in a kitchen oven which permanently hardened the clay. Here are some pictures of my completed project. 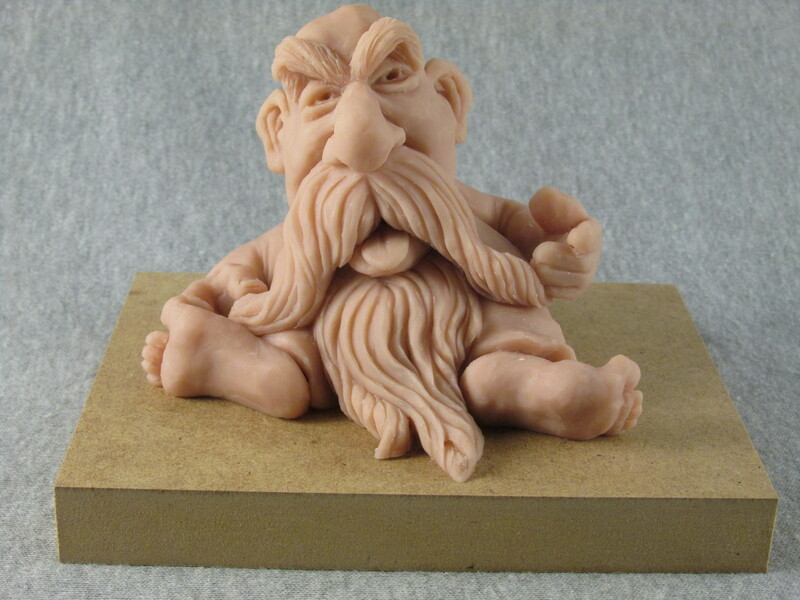 I wasn’t thinking about a project to carve but just having fun with the clay. 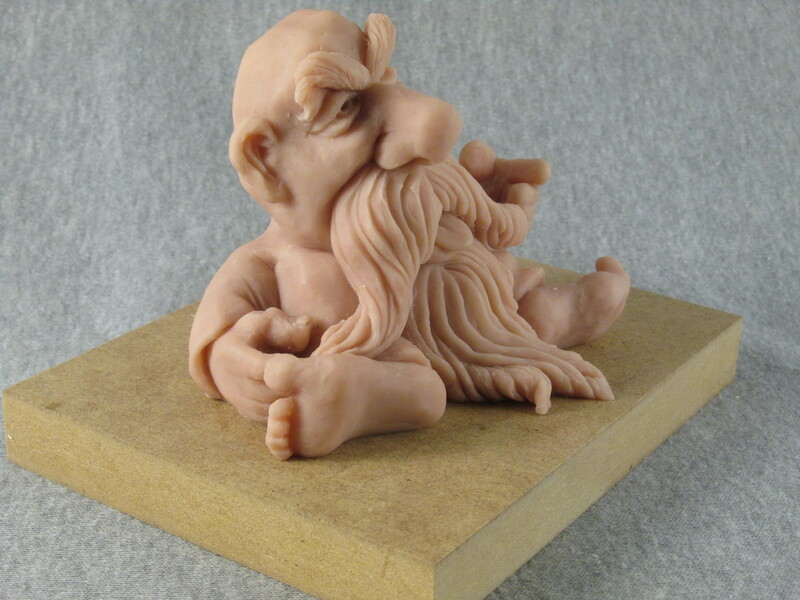 I don’t know if I’ll do it in wood. 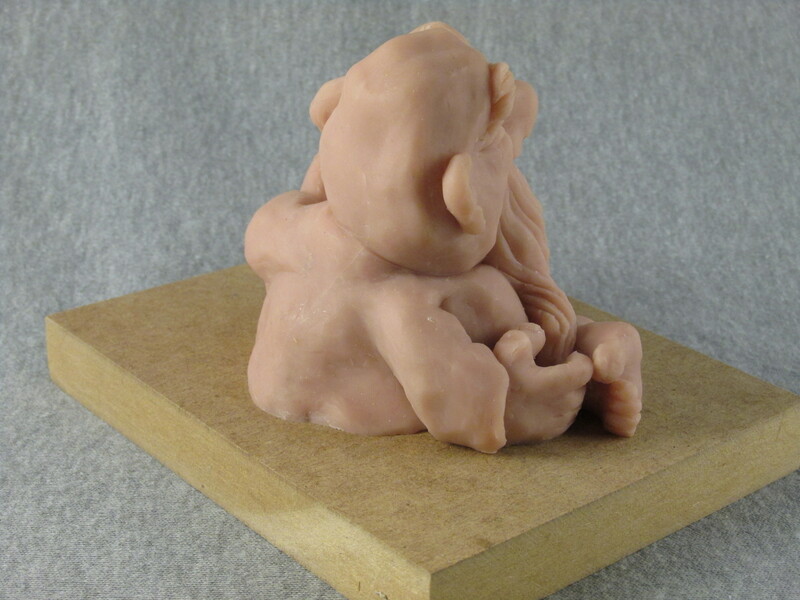 This entry was posted in Classes, materials and tagged Rich Wetherbee, Super Sculpey. Bookmark the permalink. This looks awesome Dale ! Thanks Becky. I didn’t show projects from other students because I didn’t ask permission. Our group had really good sculptures. Dale, excellent work…wish I could have been there! Tony, a lot of old friends were missing this year. The class was filled anyway but we’ll look for you next year. Way Cool ! Well done..